Build Your Own or Buy Ready-To-Fly? So first things first, FPV stands for First-Person-View. In short, you put a camera on a flying drone, you receive the live feed from this camera via a pair of goggles (or monitor) and you fly the drone via this live feed. FPV offers you the chance to see your world from a bird-eye view – it’s a whole new vantage point of which you just can’t get enough! Outside of being a real pilot, this is the most immersive flying experience you will encounter and I cannot promote it more. You feel as if you are physically inside the drone, as though you were a bird, racing past trees, and performing and loops through the air…although, of course, you have your feet firmly on the ground. There are three main types of FPV flying; freestyle, racing, and photography, each of which are explained below. This is the type of FPV flying you will have most likely come across before if you have watched any FPV flying on YouTube. It is flying with no restrictions of where you have to fly; you can fly low, you can fly high and you can explore any new exciting place that you find. This is the arena in which you can perform tricks and flips and impress any onlookers with your skills! 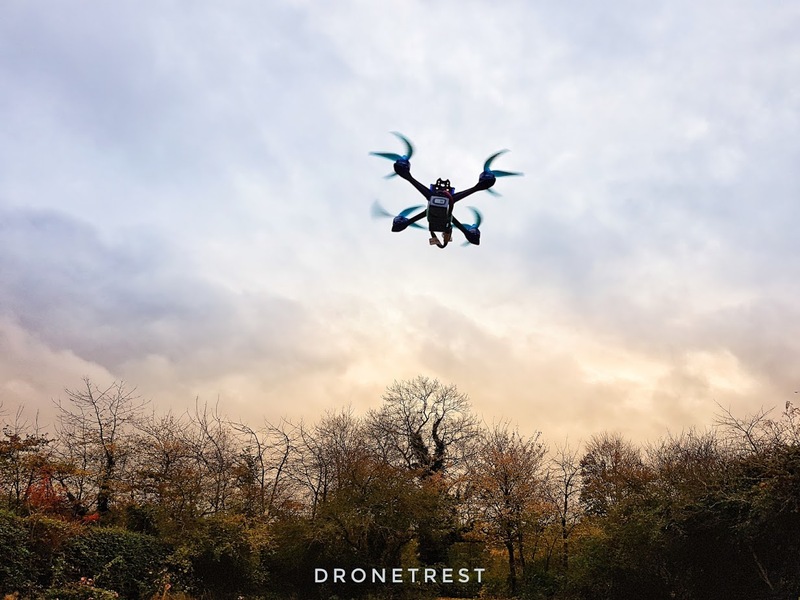 The freestylists are the acrobats of the drone world and don’t appreciate being held back by such things as race courses, trees or buildings… Freestyle is all about finding the best lines through and around obstacles while throwing a few flips to look great for YouTube videos. Again, this is exactly what it says on the tin – this is the art of taking photos and videos from that birds-eye perspective we spoke about earlier. The technology used in drones has enabled this easy access to the skies and so now ordinary folk like you and me can take in the stunning scenery from on high. The type of drone and equipment used in this type of flying are quite different from freestyle and racing. Here, smooth and easy flight take precedent over speed and agility as smooth footage is essential. To this end, camera gimbals are used on an aerial photography drone, alongside a high-quality HD camera to give smooth video. So that is FPV flying in a nutshell. You have a drone, you stick a camera on it and fly it by viewing the live feed. Simple. Now, if you are interested, I am going to go on to some of the more technical parts (but not too technical!) of what makes up a drone. This is going to be a brief section on the ‘science’ behind a drone. Firstly, a ‘drone’ is technically something that can fly autonomously, but has come to be a general term for anything electronic that flies. 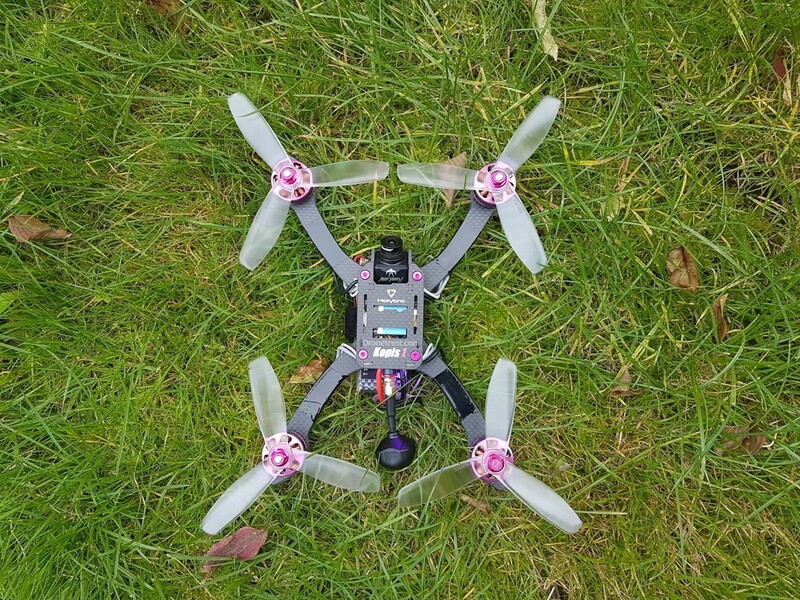 In the FPV hobby, we often use the word quadcopter, or ‘multirotor’. A multirotor is a vehicle with several ‘rotors’ i.e. motors and the most common one you will see in the skies is a quadcopter – a multirotor with 4 motors. So how does one control a multirotor? A multirotor has 4 control points; roll, pitch, yaw and thrust. If you have any experience with aeroplanes/helicopters, you will know what these are but for those you don’t, here is a simple exercise to get to grips with them. Hold you hand up, palm down to the ground – your hand is now the multirotor. Roll – rock your hand from side to side – this is your roll. Pitch – tilt your hand up and down – this is your pitch. Yaw – keeping your palm facing down, rotate your ha left and right – this is your yaw. Thrust/Throttle – lift your hand up and you have your thrust. You use these 4 control points in tandem with one another to make your multirotor go in any direction you want. It flies similar to how a helicopter does. To move forward you need to have a combination of pitch and thrust.. If you want to get a feel for FPV flying without the risk of crashing a drone, a great place to start is with an FPV flight simulator. FPV using quadcopters is by far the most popular way to fly FPV, but there are alot of fixed wing pilots who attach cameras to more traditional radio control aircraft. 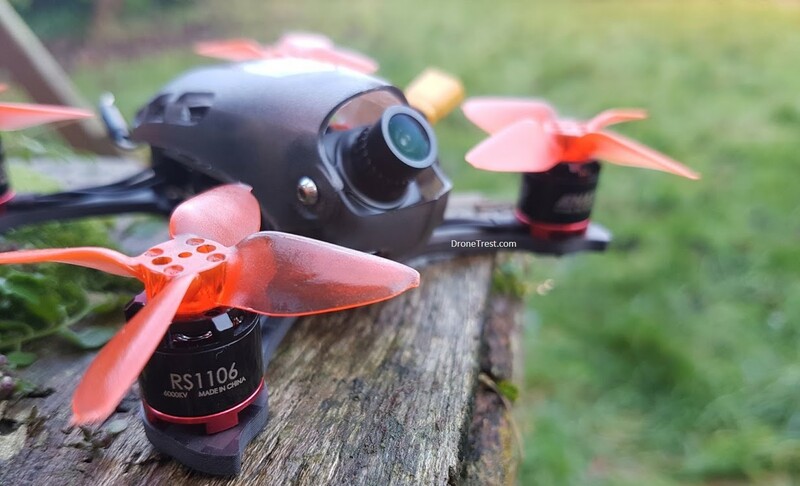 But in this guide we will cover the basics of FPV from a quadcopter perspective as this is what most people get started with. 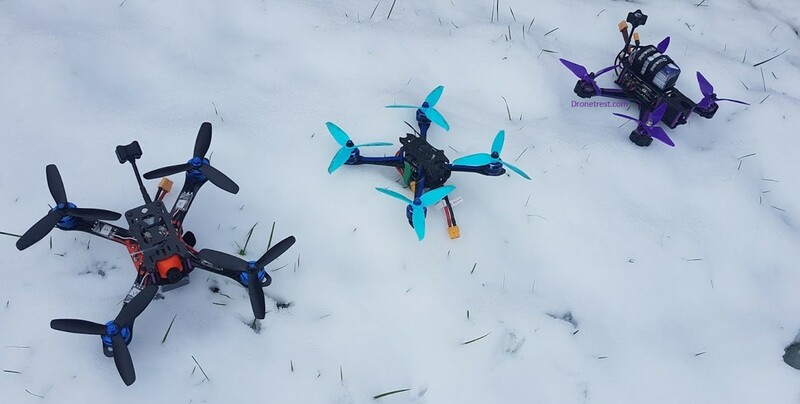 Now, I have given this question a section of its own as it is a very important question; will you build your own quadcopter or buy a pre-made, Ready-To-Fly (RTF) FPV quad? I am going to say straight away that I am biased to building – not only is it good fun, you also get a great sense of achievement when you get your own quad up in the air flying. That is not to say that buying a RTF kit is wrong – you can get some great kits out there that will perform fantastically and I am sure you will be happy with your decision. The crux of the problem for me is that you will crash – many, many times. Some of these crashes won’t lead to anything disastrous and you will only need to replace a prop or two. Some of these crashes however (especially as you start getting brave!) will result in more serious damage. You may need to replace a motor, the video transmitter or the flight controller of the quad itself. In these situations, if you haven’t built the machine yourself, you won’t necessarily know how to fix it. You might therefore have to buy an entire kit again – that could get expensive very quickly. If you’ve built it from scratch though, you know the ins and outs of the quad and will therefore be able to identify the problem and solve it fairly easily. So let’s get into some detail on what makes up a quadcopter drone. All the major components of a typical FPV drone are shown in the image below. A FPV drone can be broken down into three main ‘parts’; the flight system, the power system and the FPV system. The flight system consists of the parts that make the quadcopter fly, like motors and flight controller. The power system consists of the parts that provide electrical power to your drone like the battery and power distribution board. 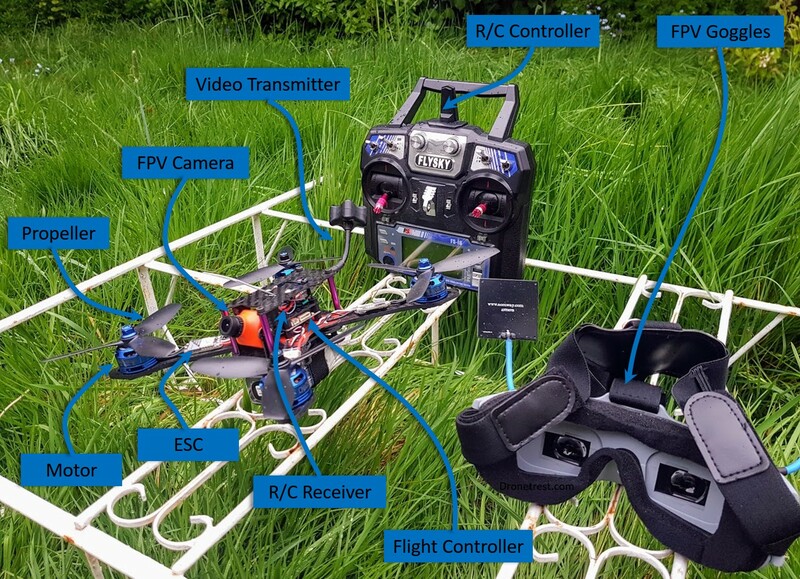 The FPV system consists of the parts used for the video feed including your camera, video transmitter and goggles. We will discuss each of these systems in more detail. First things first, the three systems on a drone have to be attached to something, known as the frame. This is the skeleton of the drone and provides not only the strength of the multirotor as a whole, but also the final look of the drone. There are so many different styles and variations of multirotor frames out there, it would be impossible to count but all have the same general features. They all want to be as strong as possible but also as light as possible (as this is obviously the best combination). That is why carbon fibre is often used as it is generally strong but lightweight. Frames are also categorised but their size. When I say the size of a frame, I mean the wheelbase which is the diagonal length (in mm) from the middle of one motor to the middle of the motor directly diagonal to it. 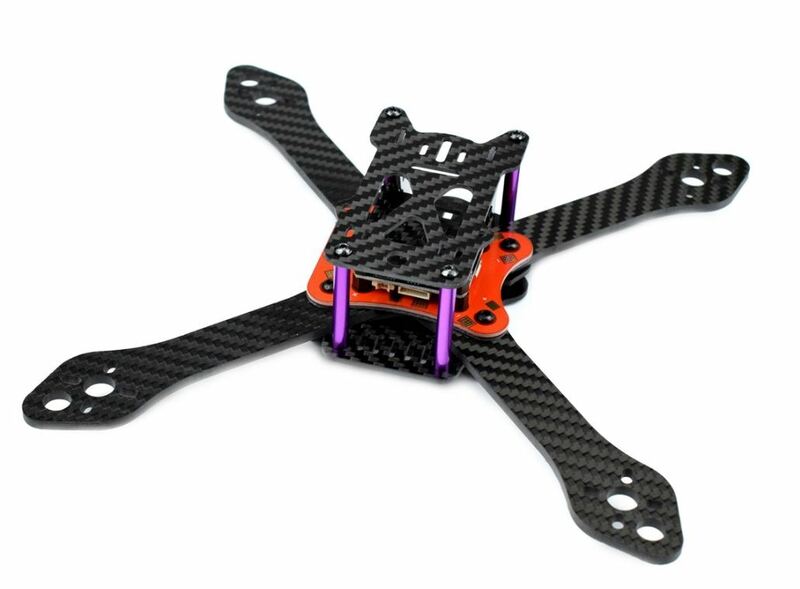 Most FPV frames have a wheelbase of 220mm and under as the technology grows smarter and smaller. The flight system contains everything the multirotor needs to fly. This includes the flight controller, the motors, the electronic speed controllers (ESCs), the radio receiver and the propellers. The radio controller is the device the pilot holds in their hands with two joysticks that is used to fly the drone. 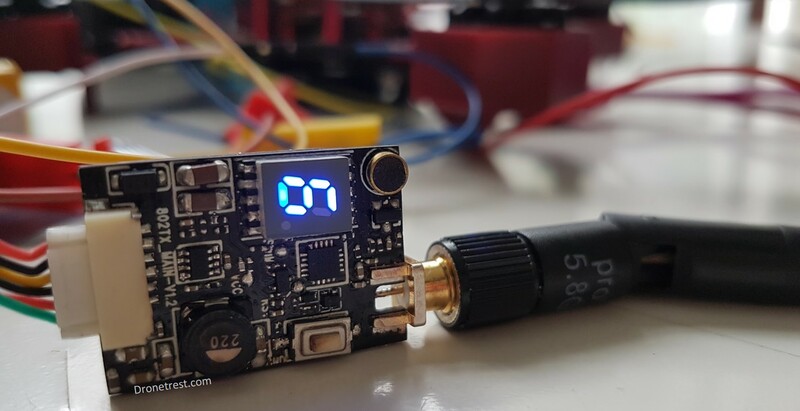 The radio receiver is the small electronic device that is installed on the drone (and is connected to the flight controller). The controller sends radio signals up to the receiver and the receiver then feeds the information to the flight controller. There is alot of options when it comes to selecting your R/C controller and receiver. 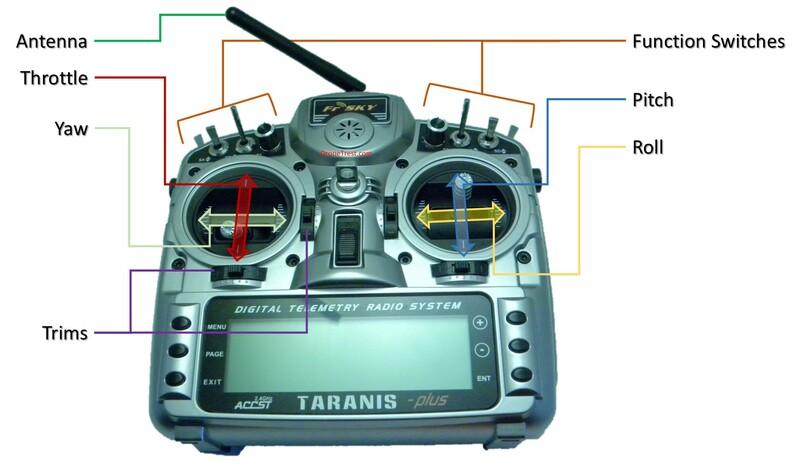 Right now the Frsky Taranis radios are by far the most popular in the FPV community. As the name suggests, this piece of equipment controls the flight and so can be thought of as the ‘brain’ of the drone. The flight controller takes data from two inputs and uses them to keep the multirotor stable and direct the drone. These two data inputs come from in-built sensors on the flight controller, and from the pilot via the R/C controller. The sensors tell the flight controller such things as the orientation and altitude, and the pilot tells the flight controller in which direction they want the multirotor to go. Depending on how deep you want to go, you can also fine-tune and program your flight controller to your exact specifications – just like you would with a racing car. This way, you can get the absolute best from your drone. ﻿Beginners guide to drone autopilots (flight controllers) and how they work. The ESCs are the components that take the commands from the flight controller and translate them into power to the motors. The ESC tells the motor to spin faster or slower given the instructions from the pilot. Each motor therefore has a dedicated ESC as each motor is, at any given time, moving at a different speed to the others. 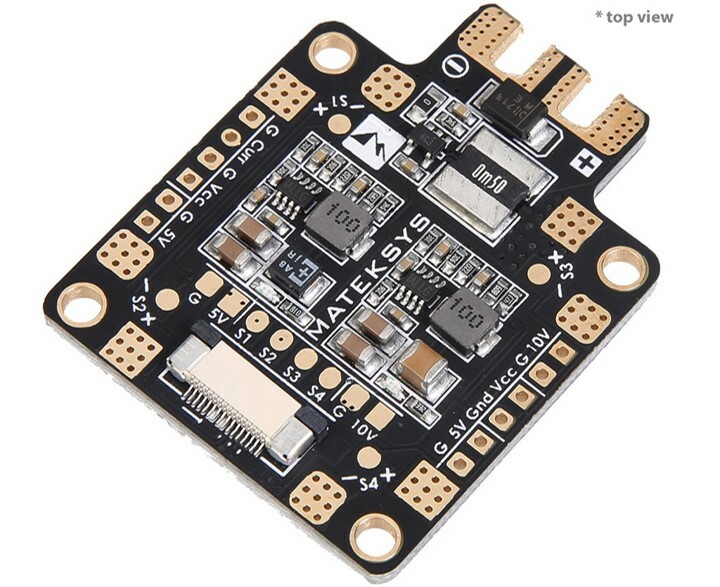 The type and size of ESC that is suitable for your drone depends on what power system you are using and which motors you are using. The motors are the driving force of the multirotor and provide the thrust (along with the propellers). The most important thing to know in terms of FPV drone motors is how motors are classed. You have many different motors of many different sizes but what do they mean? 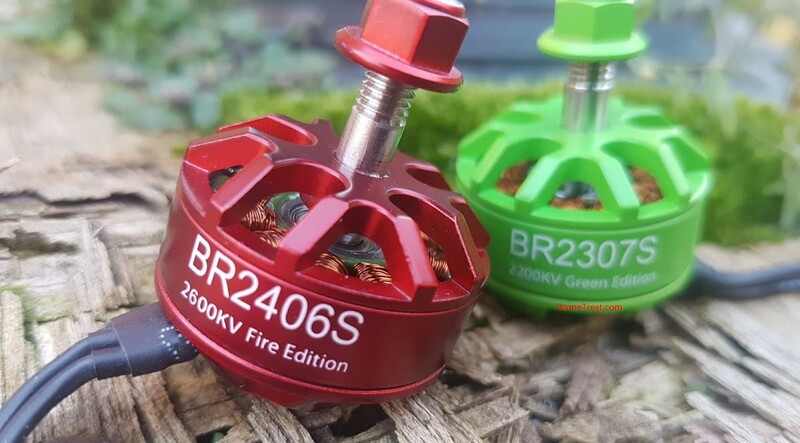 Well, let’s take the ChaosFPV CF2205 2300Kv PRO Motor as an example. This is a 2205 motor with a KV rating of 2300KV. The number 2205 refers to the dimensions of the motor; the motor is 22mm in diameter and has a 5mm stator height. The taller the motor (bigger stator height), the faster it can react, while higher diameter motors give you more torque and power, but react slower. The KV rating is defined as the revolutions per minute (RPM), per volt. Typicaly lower KV motors are best used with bigger props. The propellers are attached to the motors and provide the needed thrust. 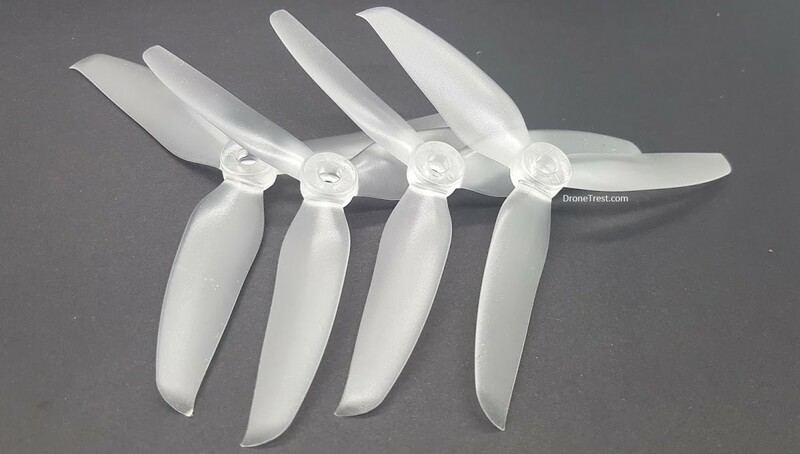 There are many different types of props on the market from your traditional 2-blade propellers to the 5-blade propellers. Again, propellers are named in a standard way e.g. 5x3x3. This simply means that you have a 5 inch propeller with a pitch of 3 inches and there are 3 blades. The power system of a drone comprises the parts the provide power, and route the power to all the electronics. In a typical FPV quadcopter there are just two components, a power distribution board (PDB) and the battery. The power distribution board simply takes the power from the battery and distributes it to the relevant sources. In the simplest form, it is a separate board to which you connect the battery and to which you connect the other components of the flight system (such as ESCs). Sometimes a PDB will also include some voltage regulators that will output a consistent 5V, or 12V outout to power some of your other electronics. 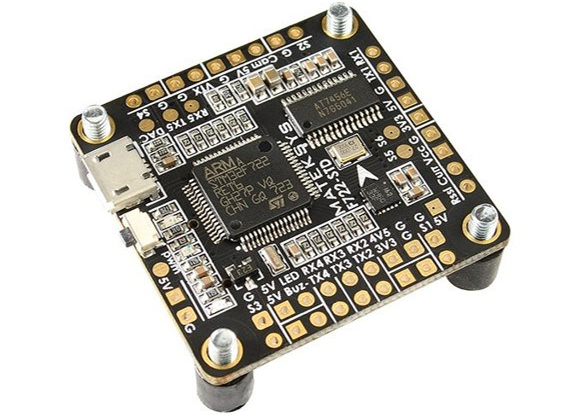 You will also find that flight controllers also have an in-built PDB which means that you connect the battery (and ESCs) directly to the flight controller. Power Distribution Boards – How to choose the right one. Now we get to the component that provides the power to your multirotor – the battery. Drones are generally powered by lithium polymer (LiPo) batteries which consist of several ‘cells’. Each cell holds a voltage of 3.7V and by adding more cells, you add more voltage. For example, a battery with 3 cells (notated as 3S) holds a voltage of 11.1V. As alluded to in the ‘Motors’ section, the speed at which the motor spins is directly correlated to the voltage that is provided. So, in order to make your motor spin faster, you need more voltage. You cannot however, unfortunately, simply whack a battery of 10 cells on your drone to make it go faster – there is always a fine balance between weight and power when picking the right battery for you. LiPo Batteries – How to choose the best battery for your drone. The FPV system consists of a camera, a video transmitter that broadcasts the video feed back down to your video goggles on the ground. To understand the FPV system, the easiest analogy is to think about how television works as it is pretty much the same thing, just at a much smaller scale. Your drone has a camera on it that captures a video. This signal is sent to a video transmitter, which broadcasts a signal wirelessly (like a television studio would). 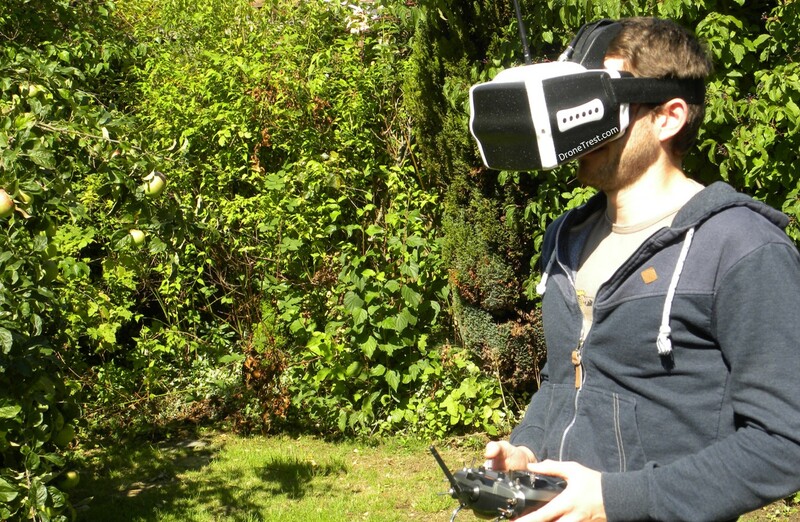 The FPV goggles on your quadcopter is like a television set that will pick up the signal. But to be specific, the video receiver will pick up the signal and display it on the screen inside the goggles. Most FPV goggles have an integrated video receiver, or have the ability to plug one in via a module bay. The FPV camera is perhaps the most important component of any FPV drone as it is the piece of equipment through which you are transported onto your FPV platform. FPV cameras started off as CCTV cameras, but as the hobby has advanced many manufacturers are making custom cameras specificly deisgned for FPV. This means that FPV cameras are designed to have the lowest possible latency (the time it takes for it to capture a frame and send it back to you). Most FPV cameras do NOT provide HD output however as this increases the latency of the feed which is disastrous for FPV flying. When you are travelling at 80mph+, every millisecond of latency makes a difference. Without a video transmitter connected to your camera, the camera is completely useless. This is the component that transmits the video feed from the camera wirelessly back to your FPV goggles on the ground. FPV VTXs come in a range of sizes, powers and features but they are mainly categorised in terms of their transmitting power (in milliwatts, mW). 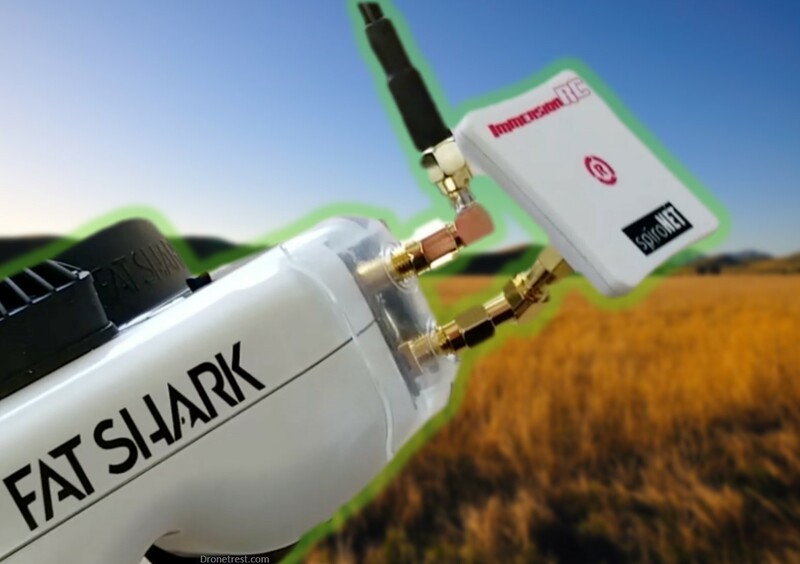 The two main powers are 25mW and 200mW transmitters – 200mW is most common among FPV flying. You should also note that there are some regulations as to how much power you can use with your FPV transmitter. Within the EU, the maximum power you can legally use is 25mW. If you want to use a higher transmit power over this, you will need to obtain permission to do so. 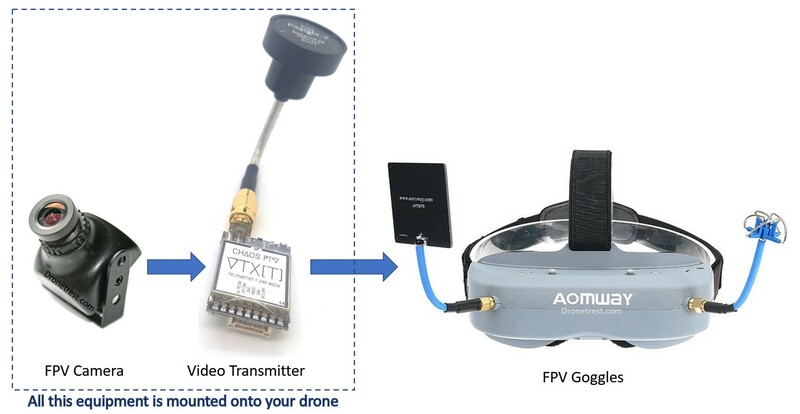 You view the live video feed from your drone with FPG goggles. Technically a video receiver receives the signal and the screen inside the goggle displays it. But nowdays a FPV reciever is built into, or clips onto just about every FPV goggle so we usualy consider this a single thing. The live video feed is displayed on a little screen inside the goggles and, just like virtual reality, you see what the camera sees and you are transported into the skies! 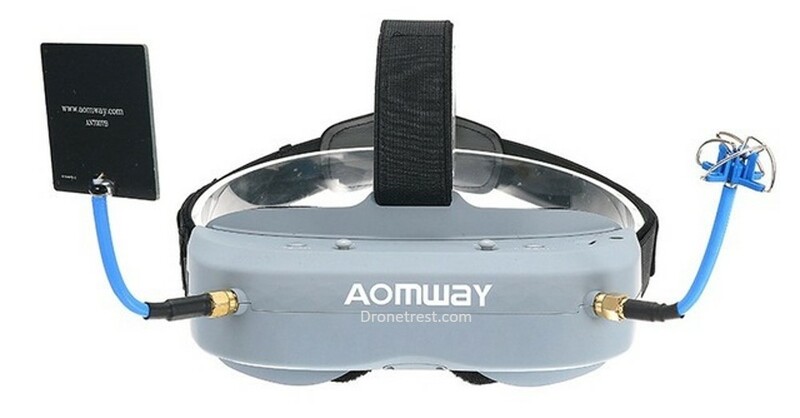 Just like with every other component in multirotor building, there are lots of different types, styles and brands of FPV goggles. If you have the funds, you can go for a really high-end pair with brilliant screen quality, dual receivers for better reception and special functions such as DVR capability (meaning you can record what you see). However, you can also get your hands on a very solid pair of goggles for not-that-much money that will do the job splendidly for a beginner. FPV flying is therefore just the act of flying your FPV drone with a camera attached while you watch the live footage and pilot your drone accordingly. You can partake in this activity alone (although if you are a beginner, it is recommended that you go out with an experience pilot) or in a group. You can set your own race course and race against one another to see who is the ultimate FPV pilot. It gives you a whole different view of the world around you and allows you to develop a new skill whilst immersing yourself in a great experience. This is just a short(ish) introduction into FPV flying so don’t let your quest for knowledge stop here! I would personally recommend going ahead and building your own drone with a DIY kit. We made the martian quadcopter kit specifically for beginners as it includes lots of step-by-step guides to help you through the process. And if you get stuck or have any related questions just ask on our community forums.